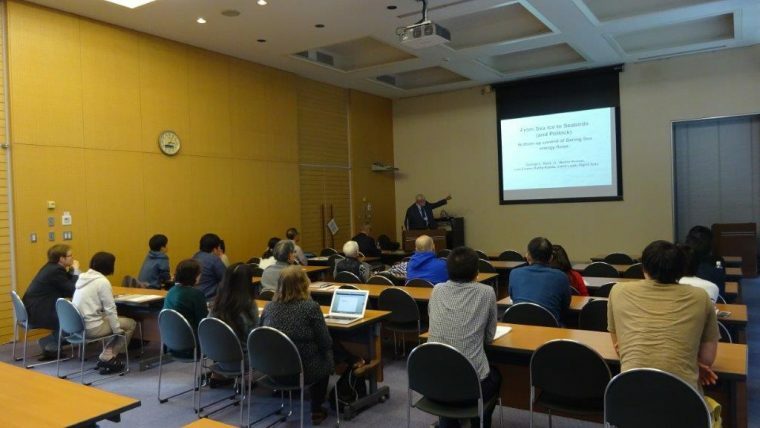 Prof. George Hunt, JSPS short-term visiting scientist and Research Professor of University of Washington, gave a special seminar on October 17, 2018. 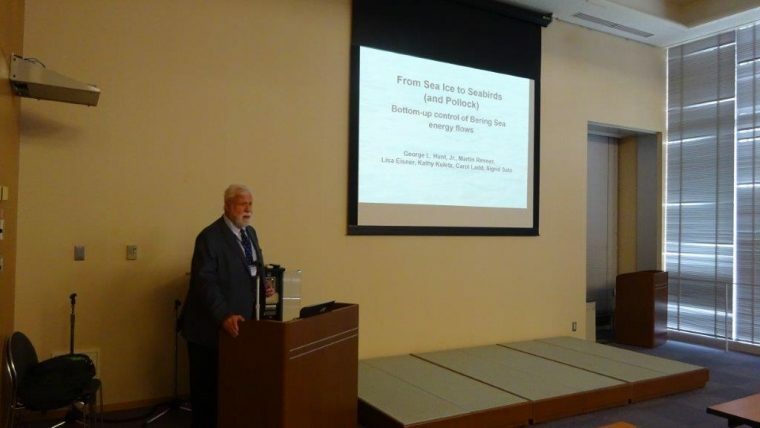 He gave a lecture titled “Effects of seasonal sea ice cover on the structure of the eastern Bering Sea food web”. After seminar, we enjoyed barbecue party with fresh fish “Sanma”, Pacific saury, from Nemuro sent by alumnus.